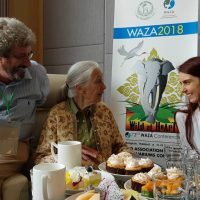 In October 2018, Camille (Founder, Director of Anoulak) attended two conferences in a row in Bangkok, Thailand: The Conservation Planning Specialist Group (CPSG) Annual Meeting (www.cpsg2018.org) and the World Association of Zoos and Aquaria (WAZA) Annual Meeting (www.waza2018.org). Our attendance to both these conferences was key to our project expansion, networking and fundraising. 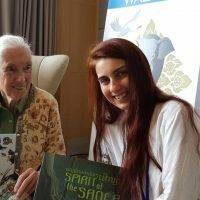 The CPSG (www.cpsg.org)’s mission is to save threatened species by increasing the effectiveness of conservation efforts worldwide, part of the International Union for Conservation of Nature (IUCN) Species Survival Commission (SSC). 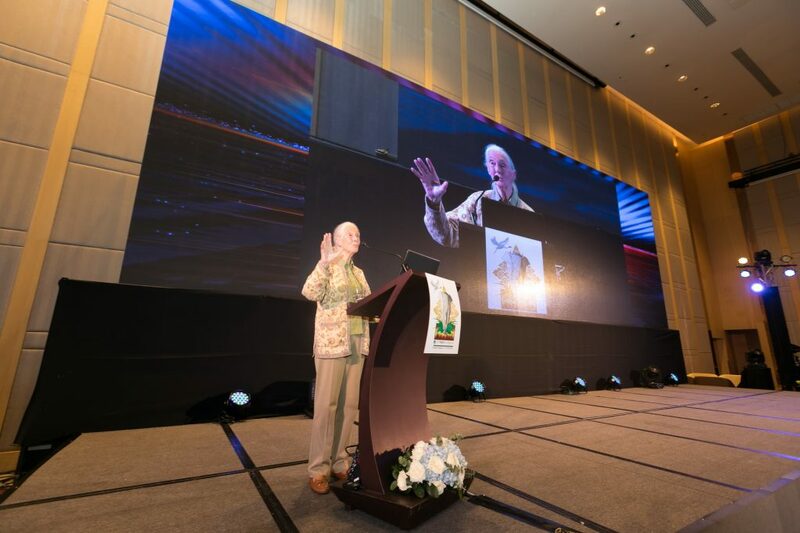 This year’s annual meeting theme was Towards Zero Extinction in Southeast Asia. Topics of group discussions included illegal wildlife trade, species champions, ex-situ conservation management of threatened species etc. 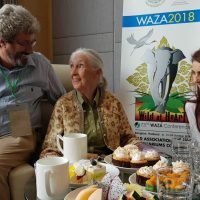 The World Association of Zoos and Aquariums (WAZA) is the unifying organization for the global zoo and aquarium community which promotes cooperation and collaboration between zoological gardens and aquariums with regard to the conservation, management and breeding of animals in human care. They also encourage links between field conservation practitioners and zoological institutions. WAZA meeting’s theme was Wild at Heart, what better fit for me! 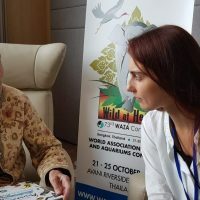 It was Anoulak’s first attendance at a WAZA meeting; A first meeting to be remembered! Indeed, several outcomes came out of it. First, it was such a great opportunity to talk to potential new donors and partners from the zoo community and this already concretized in new funds available for 2019 and the years to come. This was made even more relevant by giving a presentation ( of Anoulak’s work at the Conservation Session and by giving away for free over 100 copies of our book Wonders of the Annamites and selling some of our handcraft jewelries. 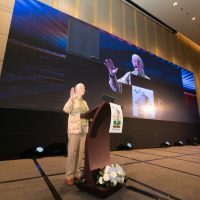 Second, it was discussed among several institutions involved in the in-situ and ex-situ management of the red-shanked douc (Pygathrix nemaeus) (Cologne Zoo; Zoo Parc de Beauval; Zoorasia, Japan; Wildlife Reserves Singapore; Zoological Parks Organization of Thailand; Project Anoulak) to form a consortium in order to propose the establishment of a Global Species Management Plan (GSMP) for the species in line with the One Plan Approach for the integrated in-situ and ex-situ species conservation management plans and actions. 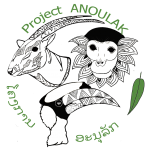 As part of this Consortium, Anoulak will continue and contribute its research and findings of douc’s ecology in the wild. 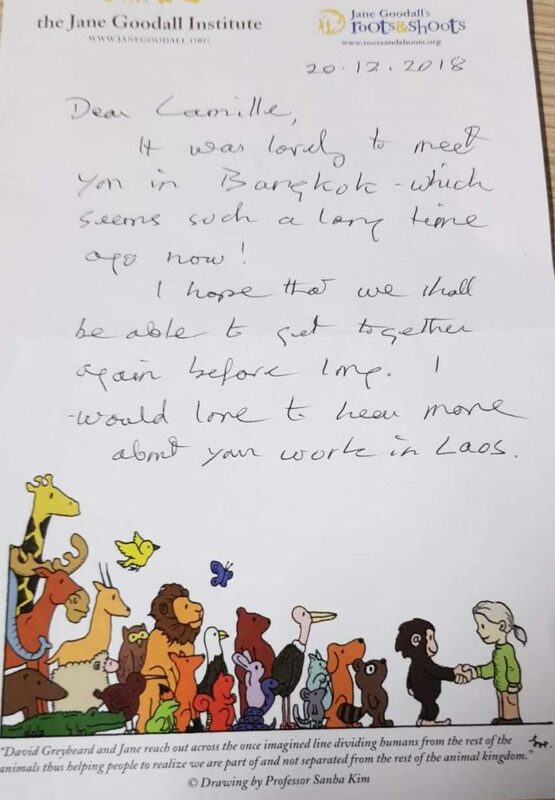 Finally, I got the immense privilege to have a private meeting with someone who inspired me to follow my ambitions to work as a conservationist from a young age: Dr. Jane Goodall. 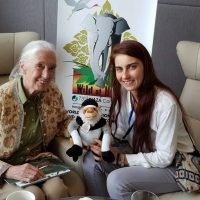 Jane was a keynote speaker at the Conference and thanks to the efforts of Eric Bairrao Ruivo (Beauval Nature) who organized a private meeting with Jane, we spent 30 minutes with her chatting about Anoulak, doucs and possibilities to set up a Roots & Shoots program at our site. 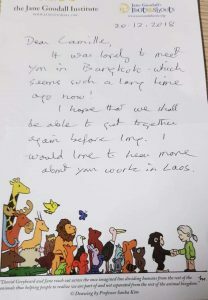 This latter discussion was continued with Jane’s assistant and director of the Jane Goodall Institute in Taiwan, Ms Kelly Kok and we hope to indeed collaborate in the near future.